I never enjoy these particular appointments, and Nehal has changed my mind about them. She was an incredible professional,and warm, supportive and comforting throughout the appointment, providing clear and helpful descriptions and creating such a safe environment for me. Cannot recommend her highly enough! I never enjoy these particular appointments, and Nehal has changed my mind about them. She was an incredible professional, and warm, supportive and comforting throughout the appointment,providing clear and helpful descriptions and creating such a safe environment for me. Cannot recommend her highly enough! It was a really good experience. I thought I was going in for one thing and she ended up asking mequestions which made me realize my issue was stemming from something completely different. She was trying to cure the cause and not just treat it right away without figuring out how the problem came to be. I enjoyed our conversation and she seems very knowledgeable. It was a really good experience. I thought I was going in for one thing and she ended up asking me questions which made me realize my issue was stemming fromsomething completely different. She was trying to cure the cause and not just treat it right away without figuring out how the problem came to be. I enjoyed our conversation and she seems very knowledgeable. Dr. Nehal Ghevariya is a board certified physician specializing in Internal Medicine, Cosmetic and Aesthetic Medicine and Surgery . Dr. Ghevariya DOES NOT prescribe narcotics/ anxiolytics or medications which can cause dependence. After completing Bachelor of Medicine and Surgery in India, she moved to New York City and joined Weill Cornell School of Medicine to concentrate on practice of Internal Medicine. Dr. Ghevariya believes in individualizing aestheic and cosmetic recommendations and procedures by providing a comprehensive evaluation. Our evaluation is tailored to provide the most natural-looking results for our clients. We provide Personalized Cosmetic Consultation and Medication Dispensing, Botox & Xeomin Cosmetic Injection for Wrinkle removal, Ultherapy for non-surgical face lift, skin tightening and wrinkle removal, Laser Hair removal, spider vein removal, tattoo removal, skin rejuvenation, skin hydration, soft skin peeling, Microneedling/energy therapy, Hair loss therapy for men and women. Barriers to screening colonoscopy in an urban population: a study to help focus further efforts to attain full compliance. Ghevariya, V.,Duddempudi, S.,Ghevariya, N.,Reddy, M.,Anand, S.; Int J Colorectal Dis. 2013 May 15. Esophageal intramural pseudodiverticulosis. Ghevariya, V.,Ghevariya, N.,Aron, J.; Gastrointest. Endosc.. 2013 Nov 23. Very easy to find with minimal wait time. Good listener and helpful advice. Very polite and easy to talk to. 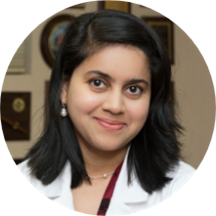 Dr. Nehal is great to have as a primary doctor as she is very attentive and responds to all of your needs. She listens to you and provides great advice while doing so. She is definitely a general doctor I’d want to continue seeing going forward. Dr nehal was extremely nice and professional. The best DR I have been to so far. Dr. Ghevariya is amazing. She works quickly, yet does not rush the appointment. She is professional, kind, and very knowledgeable. I am so grateful to have her for my doctor! I enjoyed this visit. She listened to me talk about my past and family medical histories. She recommended paths for current issues I have and specialists to contact for more treatment. Her staff office is also nice. She was amazing , very professional and friendly. I will be back to see her . Very kind, good listener and helpful. Dr. Ghevariya was friendly and thorough in discussing over the counter medication recommendations. She provided methods to alleviate some of my symptoms. There was no wait time. I would definitely book another appointment in the future should the need arise. As a pre-Med student, I have been working with many docs from various fields along the years. Dr. Ghevariya is a nice fellow who always carries a radiant smile. But, her bedside manner is not optimal . I had myfollow-up appt few days ago and I would like to discuss with her with some issues as well. Most docs I have been or am working with will ask patients if they are coming in new concerns at the first place. Dr. Ghevariya jumped straight into my lab result and was about to walk out right after. It appears to me that she’s not using the electronic medical system( she came in with my lab result in a folder), which will be difficult on the patient’s side when he/she switched to another PCP. Basically the patient is most likely need to repeat labs again. Overall I think she’s an okay doctor, but I am certain that there are bet ter ones out there. This is my first experience with Dr. Ghevariya and she is very personable and takes the time to listen and answer any questions! She is warm and welcoming as well as the front desk. She does not seem judgmental which wasmy experience with a previous doctor whom I am no longer going to see. Will be back to see her! She was great! Very thorough and pleasant. I have great confidence in her and will definitely go back. She didn't give me my exam and I still have to pay? Not a very great experience. Easy and friendly to talk to. She was very friendly throughout all of my visits. The only problem I have is that she only opened during the time that I go to work. Sometimes, it is harder to schedule an appointment. The receptionists here are terrible. It seemed like they didn't keep any kind of record of previous phone calls you had with them, and they never call back. I called multiple times with a question of when I should follow-up andthey could not answer me, had no record of me calling before, no record of me re-scheduling an appointment, and never called me back after saying they needed to talk with the doctor about when to follow-up. The actual doctor is nice, but tries to shoehorn you into a diagnosis, rather than listening to your description of how symptoms are progressing. I had scheduled the appointment with Dr. Nehal because I needed to get a excuse letter for work. Upon arrival I filled out the necessary paperwork and paid my copay and in less in 20 minutes I was taken back, gotmy vitals done and next thing you know Dr. Nehal was already in asking me questions regarding my illness I had reported. I was provided an antibiotic and what I liked was that on that same very day I had blood drawn but I had to go a few suites down to LabCorp. Not only that but their's a pharmacy in the same building. I was very pleased because I did not have to go to different locations everything was in the same building. Overall, my experience was great. Dr Ghevariya was excellent. I was seen quickly and she quickly put my mind at ease. I highly recommend her. Dr Ghevariya was very kind and a good listener. I felt very comfortable. Her office staff took the time to explain things well. She is very smart and informed. I liked that she is conservative about prescriptions and offered alternatives instead of just trying to throw meds at me. I was told that my prescriptions were being sent right away and when I arrived 35 minutes later to my pharmacist they had not yet been called in. I then called the Doctor's office and was put on hold for 10minutes and told that my scrips hadn't been called in since the front office lady went to lunch...what?! So about 1 hour later and I still am waiting in the pharmacy for my scrips. Horrible customer service and no apology for the mistake that they made. Will not be back. Dr. Nehal Ghevariya is very professional, but most of all she has an awesome bedside manner. She took the time to explain all of my vaccination options so I understood side effects and also covered other issues I didn't even schedulethe appointment for. I feel like she addressed everything I could think of that was bothering me, and best of all, I didn't feel rushed at all. She takes her time with patients, makes eye contact, and listens. I would highly recommend her. Really happy I discovered Dr. Nehal G - I have recommended her to my daughter. She was great. She spent time talking with and going over my questions in a professional yet personable manner. I felt comfortable and had a good time. I only give it 4 stars on wait time because I scheduled an appointmentand it started about 10 minutes later. However, I believe it is because she spends her time really talking to the patients if they need it. So I'm just being nit-picky. TLDR: Awesome doctor. The doc is very easy and comfortable to talk to. She was very nice. It was great! She listened to what I said she was very helpful and nice !!!! Dr Ghevariya thorough, patient, and informative. I had a very satisfying visit. I thought the visit was great! She was very helpful and checked everything even though I just went in for one main reason. I really liked her and will go back with her for anything. I must say staff was greateven though one of the girls were off for the day the other two girls did there best to help out and get my appointments as closely as I needed. What a great team work! She is extremely personable and I didn't feel rushed in or out. I left feeling like there wasn't any more I could have asked for in a first visit. I would definitely recommend her! Best Doctor Visit Ever. Less Than 5 min wait time. Very friendly and understanding. Im most definately reccommending her to my friends & family !! She is very nice and patient, I will recommend her strongly. She was short and too the point. I would appreciate a more holistic approach. It was my first visit and she didn't ask about anything besides the immediate issue. That just doesn't feel like good practice or a good attempt tobuild a real relationship. You need to really get to know your patients. But she handled all of the basics is in a professional matter. This was good based on the low standards for medicine today but mediocre based on any real standard that isn't dictated by the insurance industry and the other associated medical rackets.